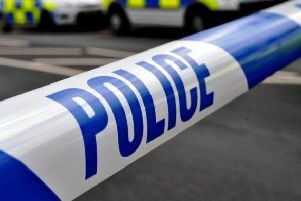 A 51-year-old man was found dead in his home in Eastbourne, an inquest heard yesterday (Thursday). The body of Darren Power, of Langney road, was found by his neighbour and friend in his bedroom on December 29. The inquest at Eastbourne Town Hall heard that Mr Power had a long history of heroin use, but was on an opiate substitute programme and had been looking forward to Christmas. A statement from Gemma Roche, of East Sussex drug and alcohol recovery service STAR, said he had been taking heroin since his teenage years, including injecting, and he was also a heavy drinker – admitting to drinking seven cans of lager a day. Of his last appointment with STAR, the statement said he ‘was in a positive mood and had been looking forward to Christmas’. The court also heard from coroner’s officer Anne Knight, who had been called to the scene. She said his room was in a poor condition with ‘alcohol and drug paraphernalia’ lying around. Mrs Knight also said she had spoken to Craig Allistone, who had been the last person to see Mr Power and had found the body. Concerned for Mr Power’s welfare, he had tried the door and found he was able to go in when he found his body on his bed at around 7pm and called an ambulance. Detective Sergeant Ross Bartlett arrived at the scene at around 7.40pm, he said, and described the room as ‘smelling strongly of stale cigarette smoke’. He said there were ‘several beer cans of a strong Polish lager used by street drinkers’ and added there were no signs of a struggle and he was satisfied the death was not suspicious. A toxicology report found traces of street heroin and methadone – a heroin substitute used to treat addiction – in Mr Power’s blood. Coroner Alan Craze recorded a conclusion of death from dependence from drugs.